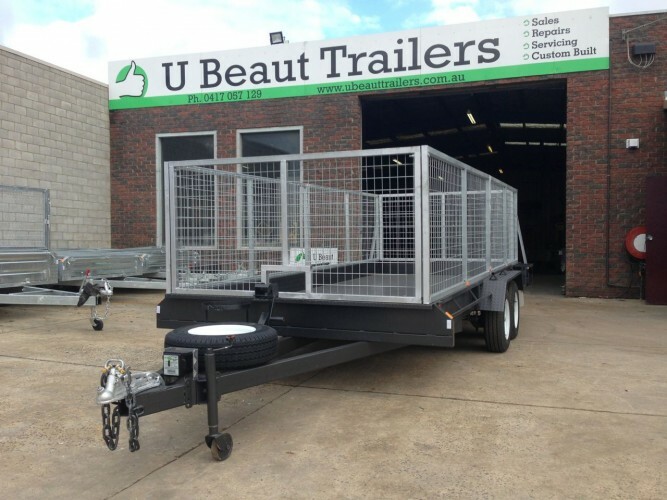 Call U Beaut Trailers today on 03-9708 2691 to discuss your custom trailer modifications and requirements. We have an experienced team of boiler makers and truck body builders with years of experience in building one-off designs to an outstanding level. We use the best quality materials to build your custom trailer and also offer industry leading 15 months Warranty*( compared to other manufacturers who only offer 12 months). 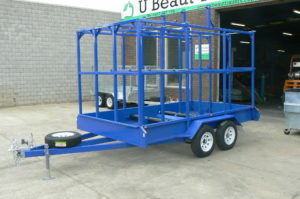 Our trailers can be designed to transport all sorts of vehicles or goods. In fact, we recently built a large tandem trailer designed specifically to transport large rolls of communication cables (see above). This trailer incorporated rubber rollers so that the huge reels could rotate and roll out the cable. 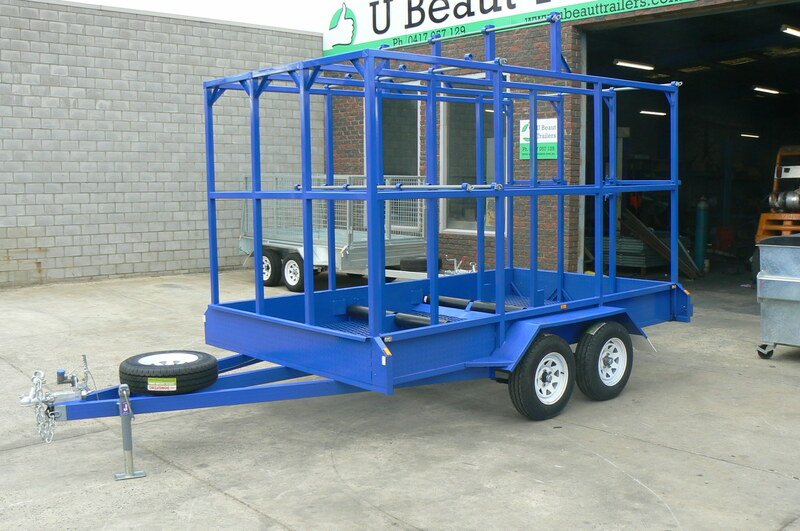 U Beaut Trailers has also built all sorts of lockable trailers for tradesman in every field. If you think a custom built trailer will help you on the job or help you transport your goods and services, please call 03-9708 2691 and have a talk to James. You will be surprised by our ‘can do’ attitude and very affordable prices.